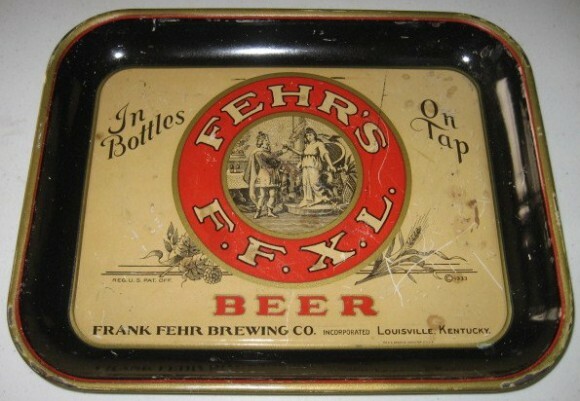 Serving Tray for Fehr’s F.F.X.L. Beer from The Frank Fehr Brewing Company out of Louisville, Kentucky. This tray has a nice vignette in the center and nice fonts as well. A tray that has classic style.